Lawyer. University of Chile Law School graduated in 1983 with unanimous distinction. His practice has been focused in dispute resolutions and corporative advisory predominantly in Public Law, Criminal Law and Concessions. Professor in Public and Constitutional law, Universidad Diego Portales. He also was a professor at the Universities: “Universidad de Chile”, “Universidad de Talca”, “Universidad Gabriela Mistral” and “Universidad Central”. Founder and director of the Website: www.diarioconstitucional.cl. 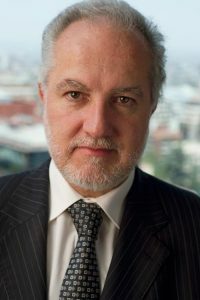 Member and director of the Chilean association of Constitutional Law. Author of many publications in his practice area. Constitutional and administrative law, judicial litigation in commercial matters, banking and tax advising, finance Law and regulatory law.